When we decided to add local meats and sausages to our store we wanted only the best, or nothing at all! It wasn't long before we found, that as far as premium ingredients and great taste, that our choice had to be Boyd's Sausage Company! 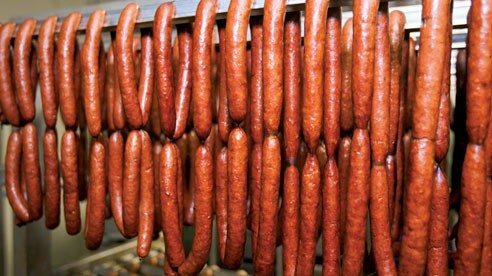 Local resident, and Boyd's owner,Brandon Statler, brings generations of craftmanship to his smoked sausages and meats. You will not be disappointed!